Ok! I did not realize that. Thanks for letting me know. Axolotl, Not a problem! Glad to help. What food do they eat for you? What are their favorites? That is great. Good luck with improving the trait! Nice!! Are they as bright as the Porcellio scaber “orange” (Bright Orange Sow Bug)? 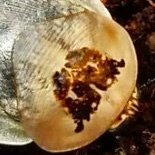 They look a bit duller and closer to the color of the Armadillidium nasatum “peach” (Peach Pill Bug) but it just might be the photos. Armadillidium sp. "Montenegro" and Androniscus dentiger care? How much do 12 go for? Oh wow! I did not know these were in the United States. OK. Thanks for the clarification. How many generations have you gotten from this set up? When you say "wet the entire" do you mean that you moisten all of the leaves in the enclosure? Thanks! THANKS! Going to modify my enclosure based on your recommendations. Do you give them just apples and carrots? I give mine apples and carrots and dog food. I already did that and did not notice a difference. Note that I have the same set up as hisserdude. Not a problem. I was hoping it offered more information on the roaches natural ecosystem and ecological niche but it does not provide many details.